Some say the devil is in the details, others say its God. 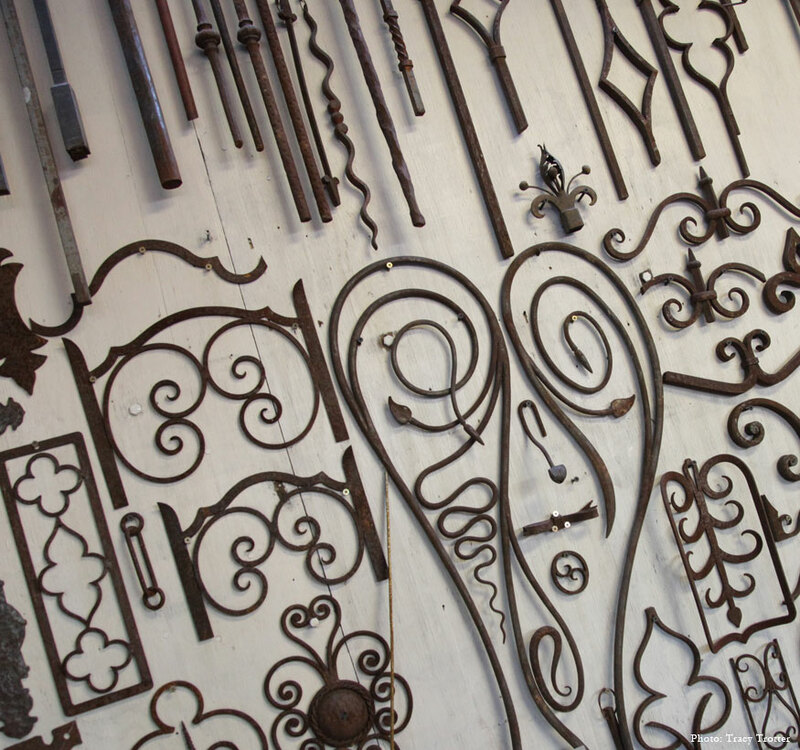 At Ironwood Designs, we just know that details warrant our attention and care. After all, how they are handled is what separates the ordinary from the extraordinary. We've heard it said, too, that quality is never an accident; it is always the result of high intention, sincere effort, intelligent direction and skillful execution. We couldn't agree more. At Ironwood Designs, we are quality driven, right down to the details. To see how we approach them, take a look at our gallery to the right. Iron Detail Sample Board At Ironwood Designs, we can twist and bend iron in almost any direction. We can match existing patterns or create unique details for your project. Iron Awning Detail This is a close up of a hand wrought iron detail designed by Ironwood Designs for a custom built trellis that's located poolside at a Hope Ranch home. No detail is too small to get our attention. 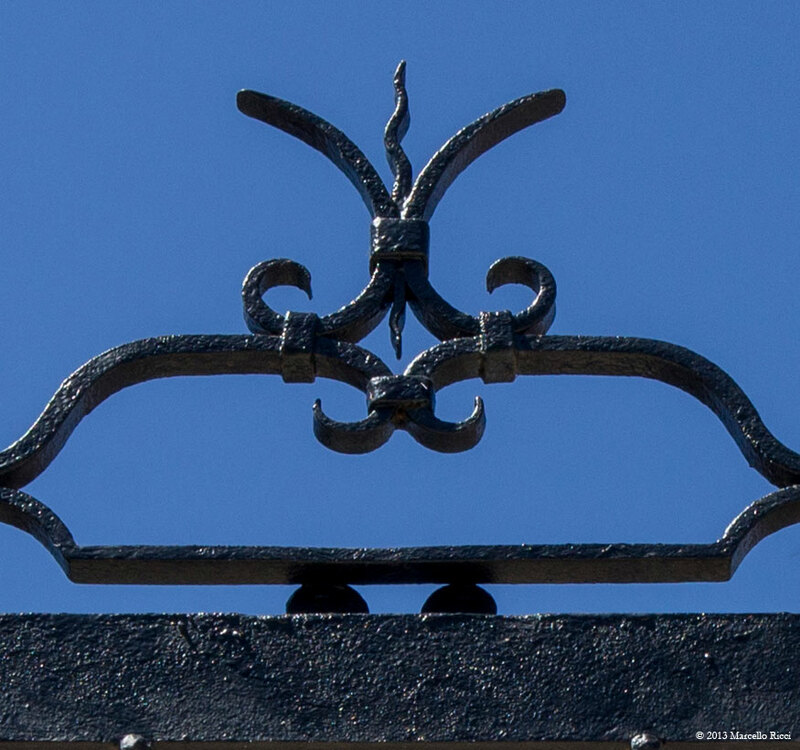 This decorative little crown is affixed to the center of a kiosk in the Santa Barbara Courthouse Hall of Records. 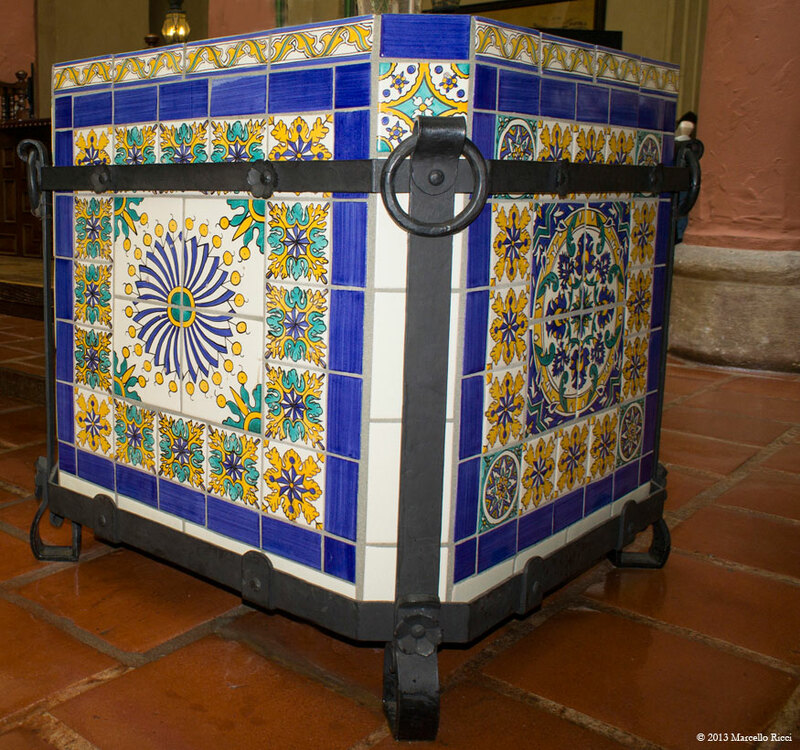 As part of the Santa Barbara Courthouse Hall of Records restoration project, we created special wrought iron baskets for these concrete and tile planters. Wrought Iron Planter Bracket Close up of planter in Courthouse Hall of Records. 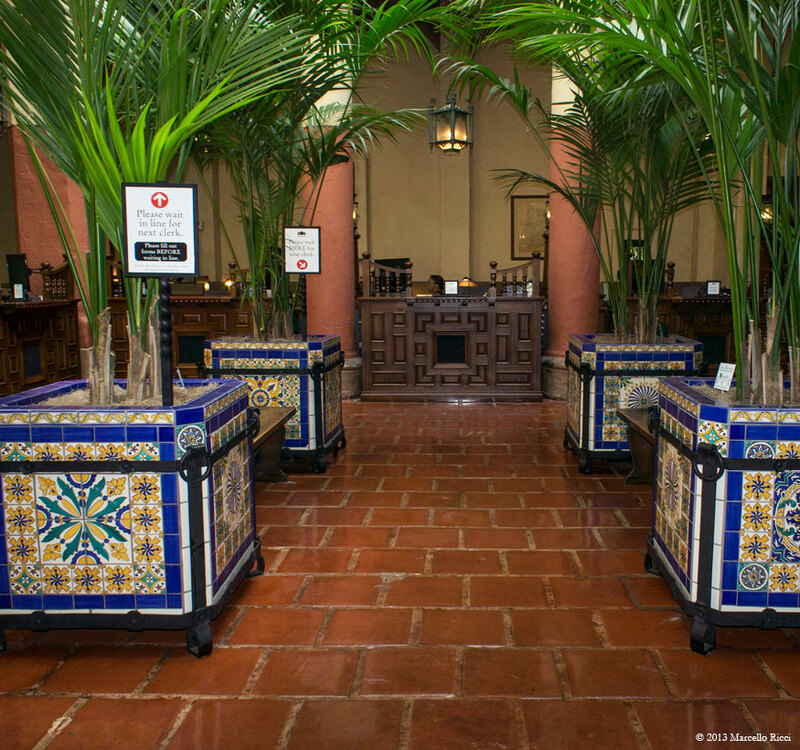 Because these planters are made of concrete and tile, the iron baskets had to be an exact fit. 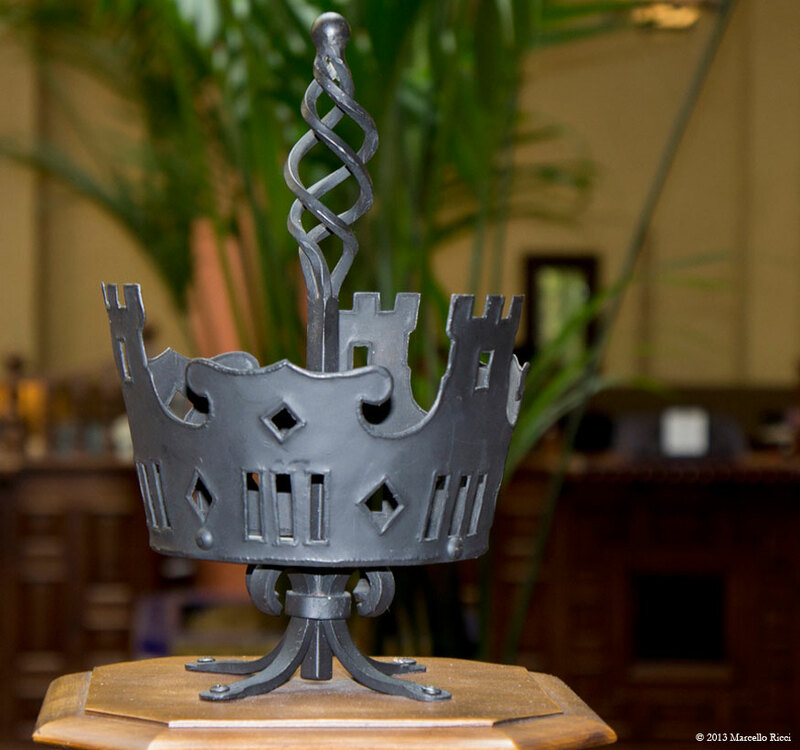 Wrought Iron Vase Bracket This custom wrought iron basket was created as part of the historic restoration of and is on display in the Santa Barbara Courthouse Hall of Records. 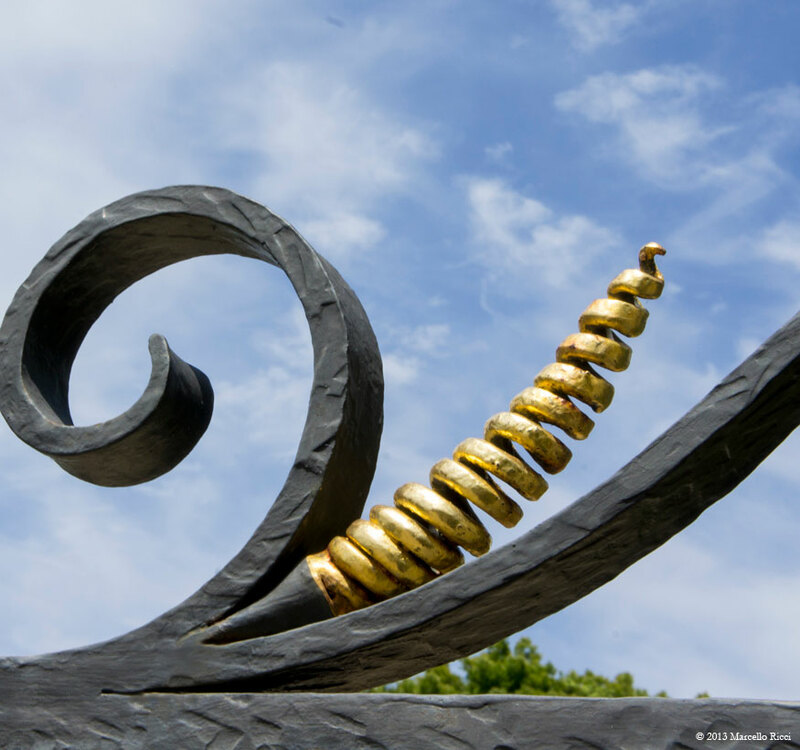 Detail of a hand hammered iron scroll and coiled iron cone with 24k gold leaf. 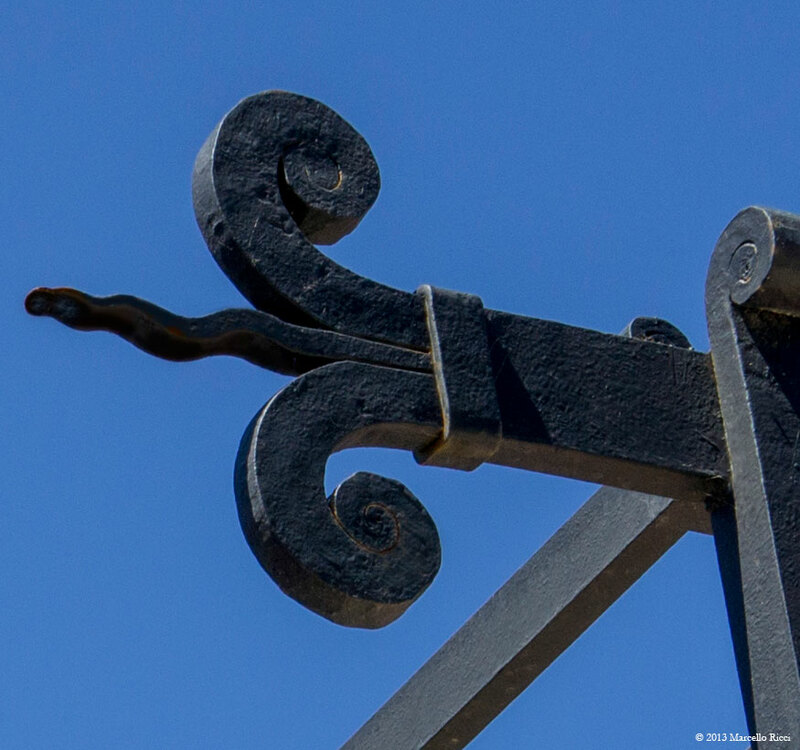 This pretty ornamental detail sits atop an entry gate for a Riviera home. 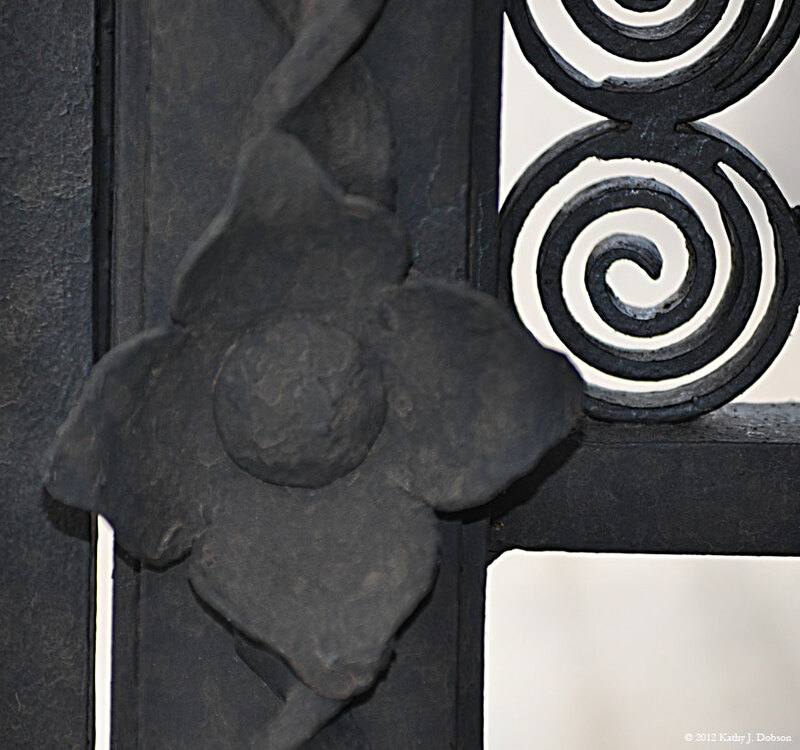 Iron Flower and Scroll Detail of a hand hammered iron flower, and wrought iron scroll work on a garden gate. Designed by Richard Hallberg, built by Ironwood Designs. 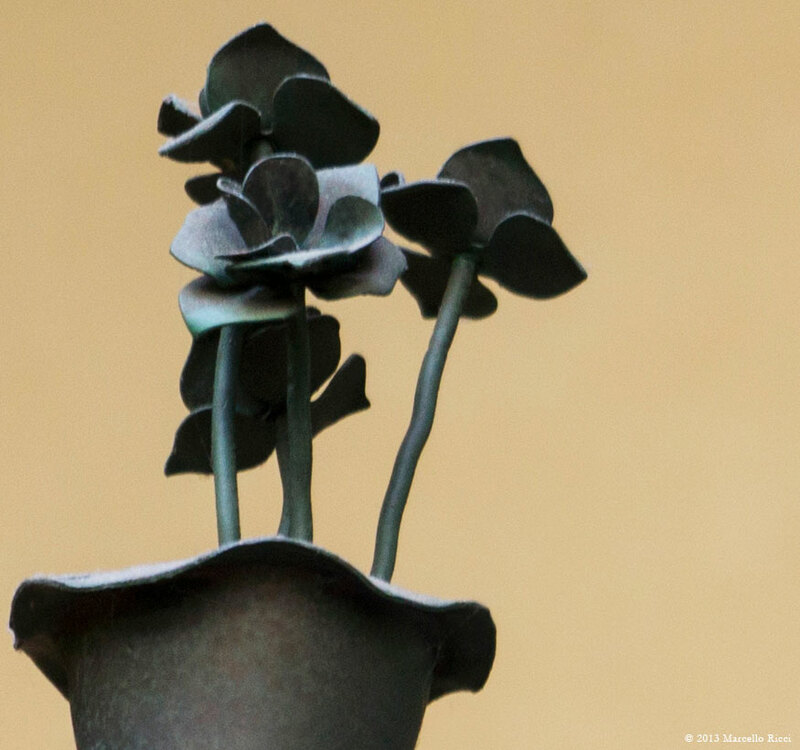 Iron Flowers Detail of hand wrought iron flowers in an iron vase. These blooms spring from the pendant light fixtures we crafted for the Santa Barbara Courthouse. 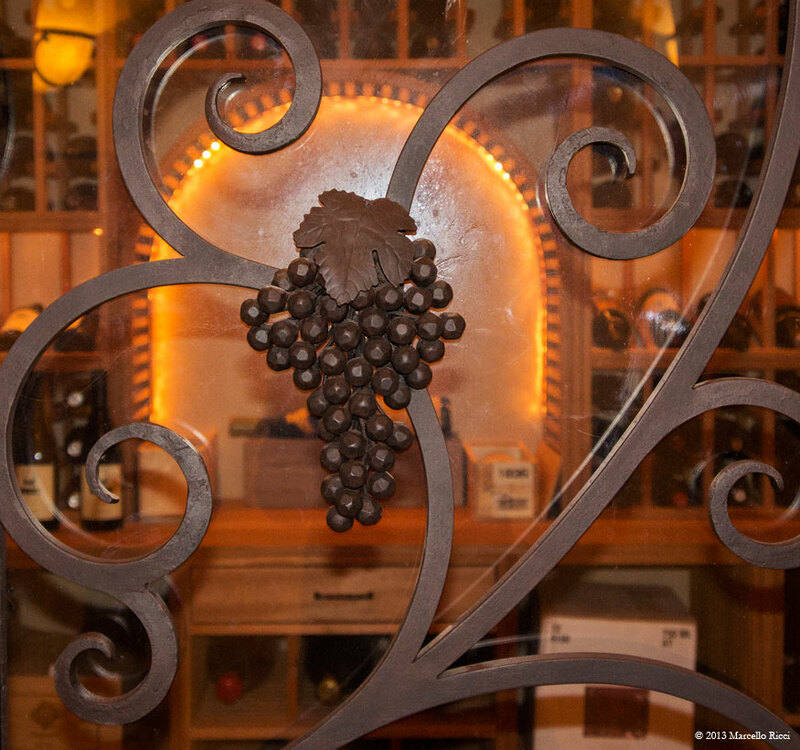 Ornamental Grape Cluster Detail Grape clusters adorn a custom wrought iron wine cellar door in Montecito. 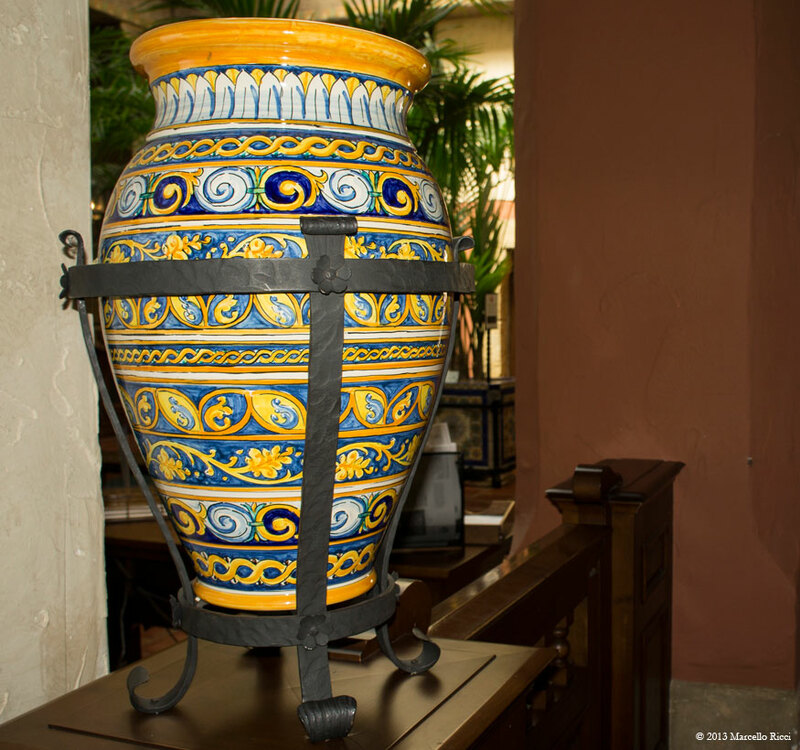 This ornamental detail shows the fine work of Ironwood Designs' artisans. 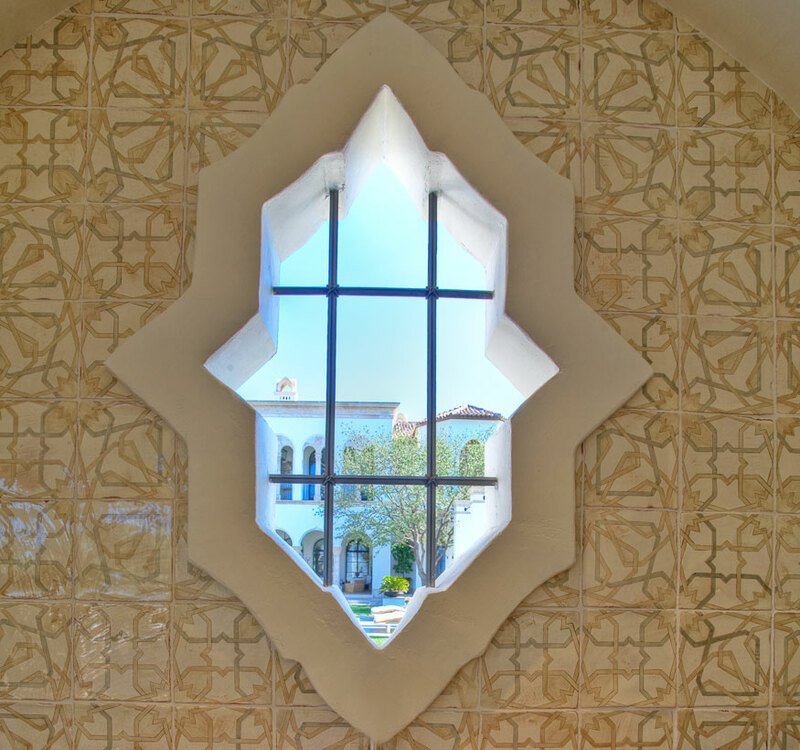 Window Grille This decorative Moorish window grille has hand made iron banding at the intersections. Designed by Richard Hallberg, built by Ironwood Designs. Exterior Window Grille Making it look easy can be the hardest part of any job. 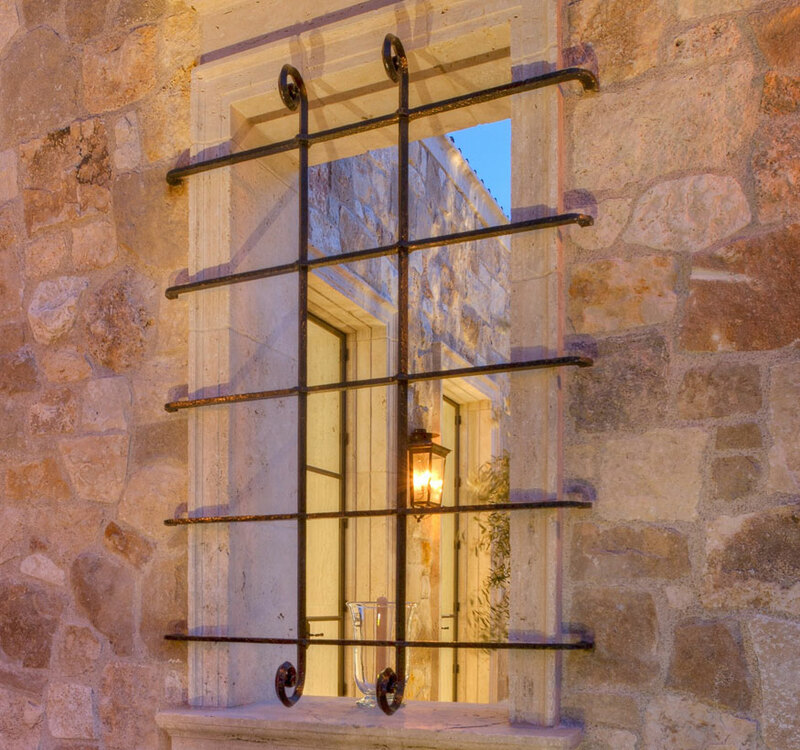 This hand wrought and hammered exterior iron window grille terminates into the stone facade. 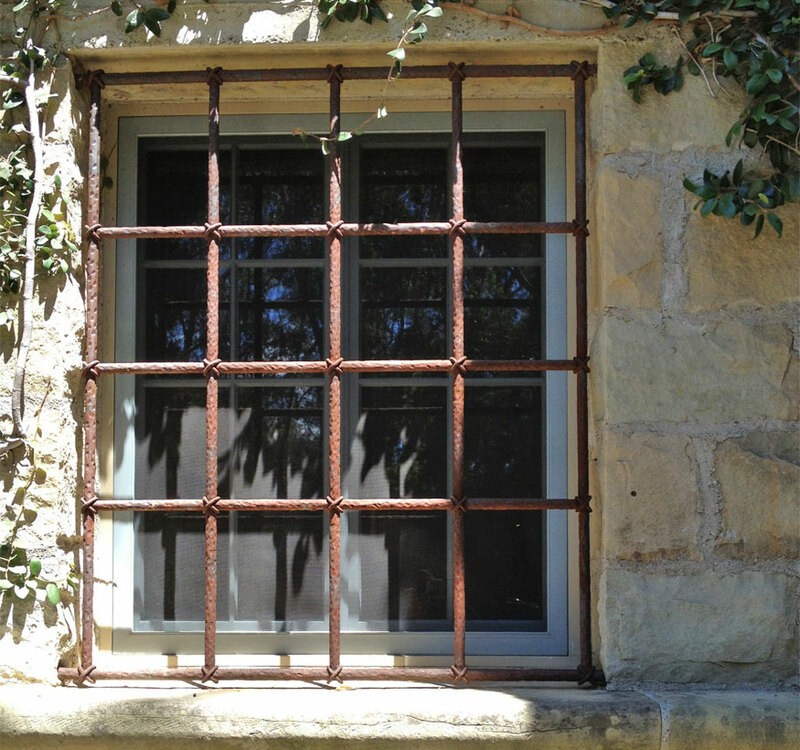 Iron Window Grille Hand wrought and hammered by Ironwood Designs artisans, this decorative window grille was built into the frame of an old stone house in Montecito.